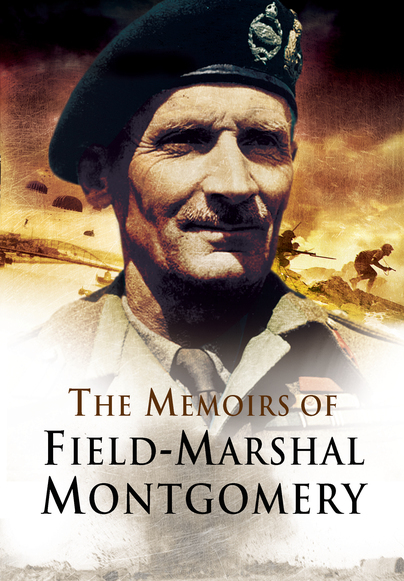 You'll be £25.00 closer to your next £10.00 credit when you purchase The Memoirs of Field Marshal Montgomery. What's this? First published in 1958 Montgomerys memoirs cover the full span of his career first as a regimental officer in the Royal Warwickshire Regiment and then as a Staff Officer. His choice of the Warwickshires was due to his lack of money. He saw service in India before impressing with his courage, tactical skill and staff ability in the Great War. Despite his tactless uncompromising manner his career flourished between the wars but it was during the retreat to Dunkirk that his true brilliance as a commander revealed itself. The rest is history but in this autobiography we can hear Monty telling his side of the story of the great North African Campaign followed by the even more momentous battles against the enemy ' and, sadly, the Allies ' as he strove for victory in North West Europe. His interpretation of the great campaign is of huge importance and reveals the deep differences that existed between him and Eisenhower and other leading figures. His career ended in disappointment and frustration being temperamentally unsuited to Whitehall and the political machinations of NATO. As the victor of El-Alamein, Montgomery remains a household name to this day. And yet assessment of him as a military commander is sometimes blurred by perceptions as to the character and personality of the man. Here, in his own words, is the Field Marshal's story: "born unto trouble, as the sparks fly upward..."
For Montgomery, the profession of arms was "a life study", to which he brought an almost religious fervour. His private life appeared austere and, by today's standards, somewhat puritanical but stemmed from a determination to retain "an ice-cold brain" in the heat of battle and to keep down casualties as far as possible. Mutual confidence between a commander and his troops was, he said, "a pearl of very great price." He could also be abrasive and this, by his own admission, made him many enemies. To his credit the author makes no attempt to gloss over this or the difficulties he faced during or after the war, even discussing the controversial 1945 press conference on the Battle of the Ardennes and reproducing the text of his notes for the first time. He also comments in detail upon those bruising confrontations which so marred his post-war career, and his account of his own appearance at the Royal United Service Institution in the mid-1950s makes startling reading. Due prominence is given to the fighting men of the Eighth Army, whose achievement was "immense" and to whom Montgomery pays tribute, and he devotes a revealing chapter to his own Doctrine of Command. They are an absolute joy to read and may be described as a tour-de-force. While all the famous actions are covered a give full value, I particularly enjoyed reading about his time in control of the military government in Germany at the end of the war and then as CIGS. One of the most celebrated and indeed controversial Field Marshals with an Anglo-Irish heritage was Bernard Law Montgomery. His memoirs were first published in 1958 and have now been reissued by Pen & Sword. ..an absolute joy to read ..He writes with supreme confidence in his judgements and is lucid, analytical, penetrating and concise.